Today, I made a chocolate fudge cake from a receipe given to me by a friend some 20 years ago. I 've misplaced the receipe since then but found it just the day before, stashed in one of my old books. What is charming about it - the receipe was typed out using a typewriter and it probably belonged to my friend's mother. This cake isn't as fattening as a rich chocolate cake as olive oil is used for the chocolate sponge and the presence of hoon kue flour (green pea flour) in the fudge makes this receipe somewhat Asian in origin. Hoon kue flour was developed by the Chinese in Indonesia and is widely used in Asian kuehs (cakes and desserts) today. In this receipe, the hoon kue flour is mixed with melted chocolate, sugar and instant jelly for the fudge topping. 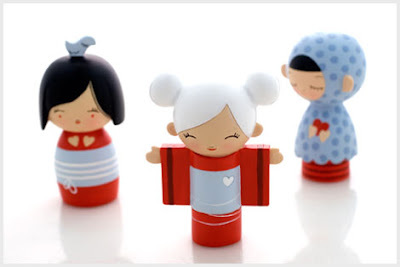 Aren't these Momiji dolls the cutest ? Their sweet disposition and candyland colours lighten up my mood. In life, we go through phases where we become passionate about certain hobbies or activities. But due to work or other commitments, we learnt to let go. Perhaps at another point in life, we will fall in love with it all over again. Almost 2 years back, I loved to indulge in handmade felt dolls and had a great time working with my aunt on their designs. 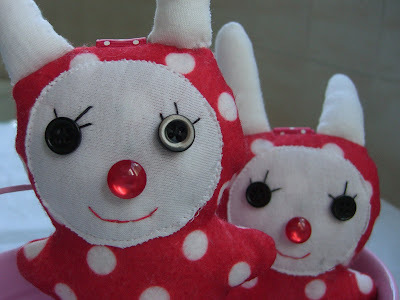 These 3 little sisters are part of that collection which also included 2 little rabbit sisters and more. I had to give it up when I fell very ill with a gall bladder infection. After my recovery, it was work commitments and making sure my daughter put in her share of work for the primary school leaving examinations. Looking at these pictures brings back good memories. Was at Keong Saik Street in Chinatown today. It has now turned into quite a hip area with cafes, advertising firms and boutique hotels, modern yet traditional in its architecture and style. Most of the houses were renovated but some like this one, retained parts of its original facade which was covered with old tiles. 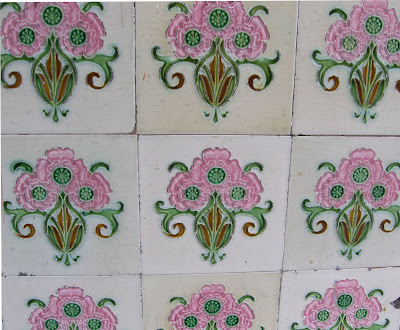 These are antique English art nouveau Peranakan tiles which were made years back in England and still adorn some of the lovely shophouses at this street and at nearby Ang Siang Hill. Pineapple tarts are synomous with Chinese New Year celebrations. Pineapple in the Chinese Teochew dialect sounds like 'Wang Lie', which means imminent luck and that explains its popularity with the Chinese during this festive season. I have eaten pineapple tarts all my life but never have I attempted this popular pastry. So after all these years, there is always a first time! By using butter instead of margarine, it does make a difference in terms of fragrance and taste. Today's task was meant to be a trial before I do the real thing closer to Chinese New Year. However, I am not sure if I would like to do it again as the process is quite tedious. Maybe. And if I do, I will definitely not attempt to cook lunch and dinner in between and free myself for the day just for this ! 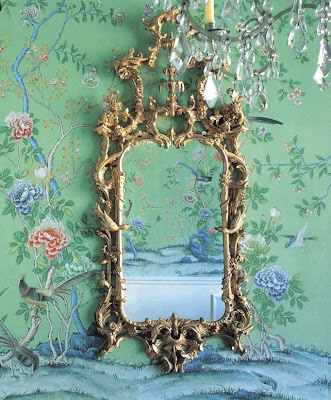 Chinoiserie, from 'chinois' the French for Chinese, was a style inspired by art and design from China, Japan and other Asian countries. 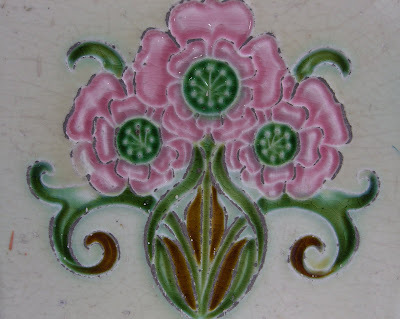 It was very popular in the 18th century particularly in France and Britain where porcelain, silk and lacquerware imported from China and Japan were extremely fashionable. 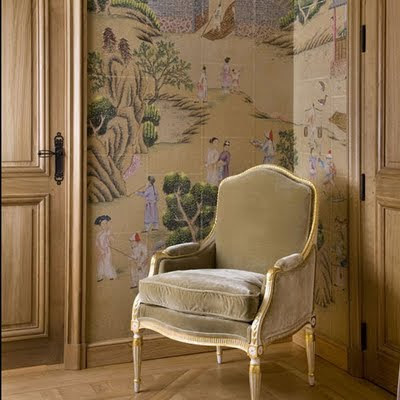 Designers and craftsmen set out to imitate Asian designs and to create their own fanciful versions of the East. 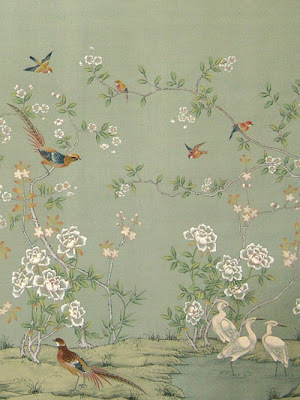 Even Louis XV of France had a number of rooms in his palace done up in Chinoiserie style and popular motiffs include birds, Chinese cranes, pagodas and cherry blossom branches. 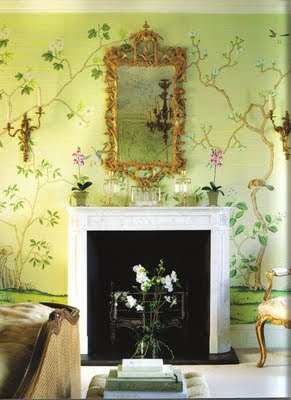 Today, some of the most beautiful wallpapers are Chinoiserie in style. When I look at such images, I can't help thinking of the story "The Emperor and the Nightingal". The Koreans have their pickled kim chi while Singaporeans have their pickled version of achar consisting of cucumbers, carrots, chillies, onion and garlic with a vinegar-chilli paste mix and a sprinkling of sesame seeds or peanuts. Somehow the humble tasty achar has been overlooked as it is mainly seen as a side dish alongside curry. I personally love Singapore achar though I am not talking about the ones readily sold at wet markets and supermarkets in convenient packs. These are too mild and simplified for my taste buds. Real achar should have lots of oomph and heat. The Nonyas have their version too but they have added ingredients such as cauliflower and cabbage pieces with a heavy dose of peanut sprinkling. I was lucky enough to have a Nonya neighbour when I was growing up and bottles of achar would often be given to my family. What a tasty treat and there was nothing like a good old serving of achar to whet the appetite ! My husband's aunt came over the other day and was kind enough to show me how her version of achar was made. It was indeed very delicious ! In achar making, salt is added to the cut vegetables to bring out the water in them. What you get after a while are crunchy vegetables. Achar can be stored for quite sometime if kept in the fridge and will taste better as days go by. Went flea marketing today at China Square, the first for 2010 and it does seem like there are more stalls and people now. Had a good hunt and loved what I found. A vintage blue glass candy/ cake tray popularly used during Chinese New Year in the late 60's and 70's. An elderly couple sold it to me at quite a good price and it was beautiful. This was definitely my find of the day ! Also found a nice white clutch bag saddled among toys. It looked like a mini little Mac and it costs me only $5 ! 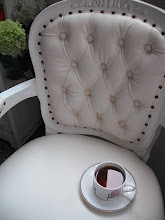 Think it goes well with a Chanel like rose brooch I saw at the next stall. Costs me $5 too :) And since China Square's major attractions are toys, I can't seem to leave the place without one. Bought 32 little mighty beans in a bag for just $5 ! 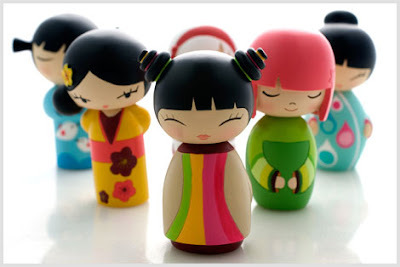 They were the craze some years back and will bring back some good memories for my kids. And for $2, I just had to get a strange little donkey and a retro looking tin robot for $8. The best part of flea marketing is really the hunt and the satisfaction of spotting something good and cheap amidst the clutter ! It is not always that you get something as I have left empty handed on a number of occasions. But then, there is always another time.